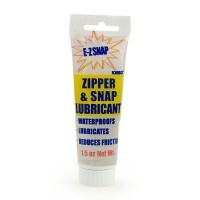 Iosso E-Z Snap lubricant is for snaps, zippers, hinges, and hardware. Lubricates, waterproofs, and reduces friction. It keeps snaps from corroding and locking up. It keeps zippers free flowing. E-Z Snap will not rinse away or dissipate in hot weather. 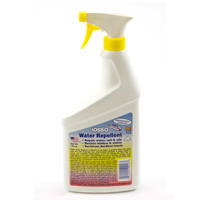 The formula does not contain solvents, silicon o..
Iosso mold and mildew stain cleaner - removes mold, mildew, algae stain, bird droppings, tannin (leaf) stain, tough dirt, grease and oil, some food and drink stains, blood stains and more. 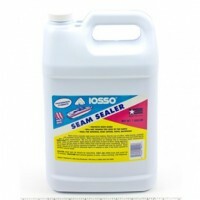 Recommended for use on: awnings boat covers tents furniture cushions carpeting patio umbrellas camper..
Iosso seam sealer prevents most seams from leaking. Best for use on cotton, cotton blends, polyester and synthetic woven fabrics. Water repellency will vary with vinyl coated and vinyl laminated fabrics due to seam construction. It will not change the look or feel of the fabric. 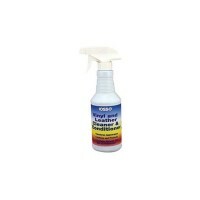 Ideal for: Boat c..
Iosso vinyl cleaner & conditioner cleans and conditions in an easy spray formula. With the finest natural oils, it will protect vinyl, leatherand rubber. Great on clear vinyl too! It restores appearance, natural feel and makes scratches less visible. 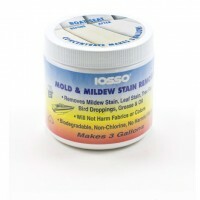 It leaves a light gloss and protects against ..
Iosso water repellent fabric protectant is effective on all fabrics. It protects from water, soils, oils bird droppings and environmental pollutants. Recommended for use on: awnings canopies tents patio furniture cushions umbrellas spa covers tarps boat covers bimini tops hunting fabrics..